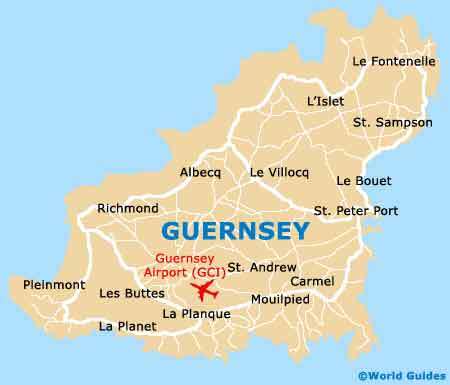 The small town of St. Peter Port is the capital of Guernsey and also the island's main port, which is situated on the east coast. 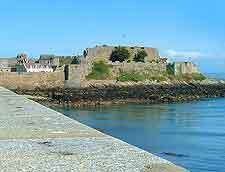 Originally a tidal island fortress, the Castle Cornet dates back to the early 13th century. 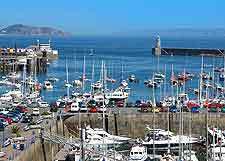 Points of interest include three museums, gun firing displays, gift shop and attractive gardens. Another picture of Castle Cornet. 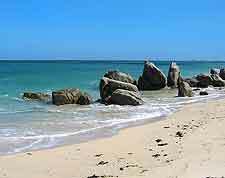 The sandy beach at Cobo Bay is situated on the west coast of Guernsey and is extremely popular during the summer months. 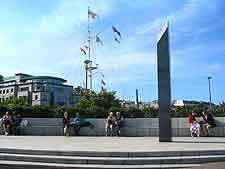 The Liberation Monument features a blue granite obelisk and commemorates the island's freedom in 1945 after the German occupation in WWII. 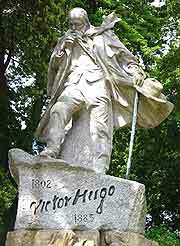 The statue of Victor Hugo acknowledges the time the French poet and playwright lived in exile on Guernsey at Hautville House. 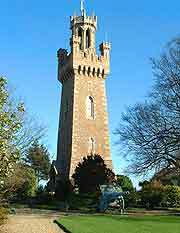 This well-known 19th-century St. Peter Port landmark was constructed to commemorate Queen Victoria's visit to the island. 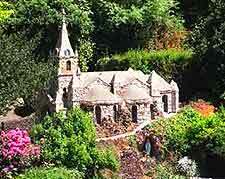 Situated in the grounds of the Blanchelandes Ladies College the Little Chapel is one of the smallest chapels in the world. 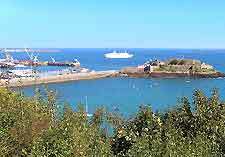 Alderney is the third largest island of the Channel Islands and is also the nearest island to France. 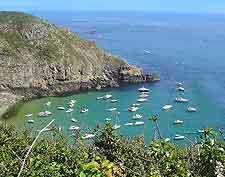 The enchanting island of Sark is the fourth largest Channel Island. 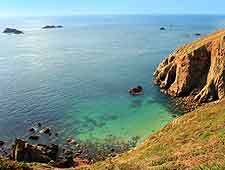 Made up of two parts - Greater Sark and Little Sark, the only modes of transport are bicycle, horse-drawn carriage or walking. 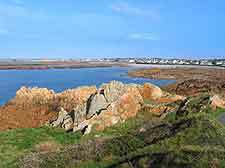 The small island of Herm is only one and a half miles long by half a mile wide and features many sandy beaches.